Boxer Erik Bellows, 25, throws a punch into the punch mitts being held by DeKalb Boxing Club owner Ron Hansen (left) during practice in DeKalb on Tuesday, July 6, 2016. 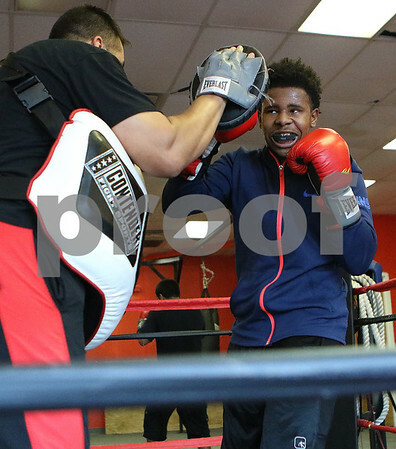 Hansen started the DeKalb Boxing Club as a non-profit in April of 2015 in hopes of introducing boxing to DeKalb and to develop a team to compete in tournments. DeKalb Boxing Club has 30 members.